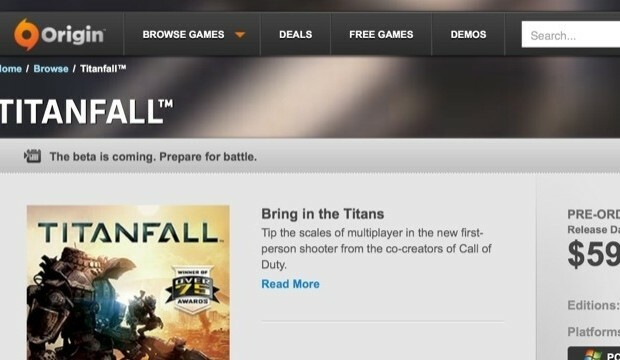 The official EA Origin Store appears to have been updated to indicate that the Titanfall “Beta is coming, prepare for battle”. We couldn’t believe it either when @AbelHazzer sent us the tip, but if you head over to the Origin order page you’ll see it at the top left corner. At this time, nothing official has been announced. This is the first time we’ve seen it so let us know what you guys think..